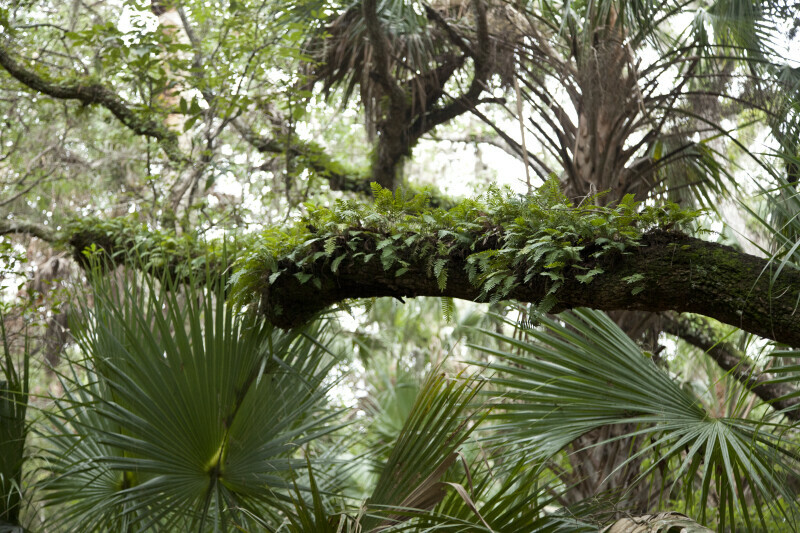 A photo of resurrection ferns (Pleopeltis polypodioides) on the branch of a tree above saw palmettos. The sprightliness of the ferns indicate recent rainfall. This photo was taken at the Washington Oaks Gardens State Park.